M.P.F.F.A. | Station 9 Calef Rd. Our history begins in 1894. The Bakersville section of the city was growing and commercial development was moving in. 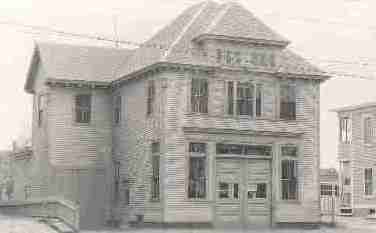 The Committiee of the Fire Department recommended that Hose Co. 1 be moved from central station on Vine St. down to the Bakersville. The National Board of Fire Underwriters was opposed to this move and recommended that an additional hose company be added to the department. Construction of a wooden station began in late 1894 at a site purchased in May 1892 by the city. 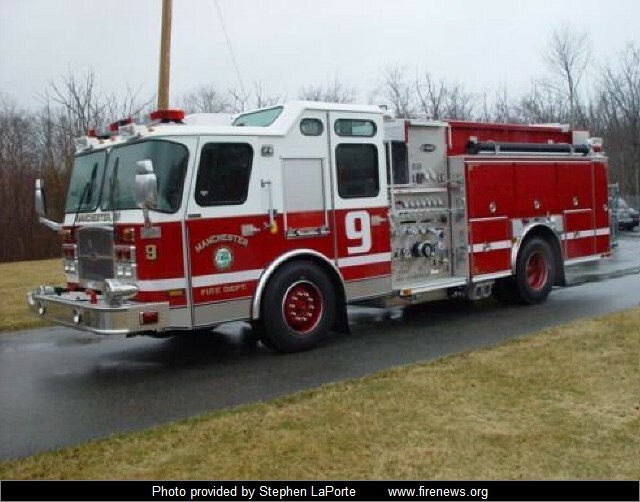 Upon the purchase of Truck 5, the old combination hose reel/ ladder wagon that Engine 5 was using was rebuilt into a hose wagon and placed in service for the newly formed Hose Company 3. This would be the second Company called Hose 3 in the history of the department as there was one on the west side prior to 1883. Hose Company 3 was formed August 1st 1895. It consisted of a permanent Captain and a permanent driver, as well as a call Lieutanent and 5 call firefighters. The first run of the company was August 20th to box 213 on Maple St near Shasta. The responce was Engine 1, 3, Chemical engine, Hose 2, 3, and Truck 3. It was for a small cottage fire. The single horse-drawn hose wagon was replace in 1914 by a Federal Motor hose wagon. Hose Co. 3 was the first Hose Company to be motorized. In 1929 the hose wagon was replaced with an Ahrens Fox pumper. February 8th 1932 General order number 48 was issued changing Hose Company 3 to Engine Company 9. The Ahrens Fox was eventually replaced December 1958 with a B model Mack, it had a 750 gpm pump and carried 500 gallons of water, as well as a Rockwood foam proportioner, wet water agents, the "Jaws of Life", an Emerson rescussitator, and 2 air packs. March 1963, Engine 9 had to move from their home (where Queen City Ave. and Elm St. intersect now) to their present location on Calef Road. The Mack, in its 29 years of service, had to have many transformations done to it. A new diesel engine replaced the older gas one (which required a hood extension), and the rear body and tank needed to be completely changed. This pump was sold to the Portland Maine Fire Department where the fire engine body was placed on another truck and the Mack chasis was scrapped. March 1987, the Mack was replaced by an E-One Cyclone. It carried 750 gallons of water, 40 gallons of 3%-6% AFFF foam, had a 1250 single stage pump and a Fecon foam proportioner. Currently this piece is running as a spare engine and has been re-numbered Engine 14. May 2008 Engine 9 recieved its 5th motorized piece. It is a 2008 E-One Cyclone II. May 9th this new engine hit its first fire at 198 Auburn St. on the second alarm. This piece has a 2000 gpm Hale pump. It carries 750 gallons of water and has a Williams A/B foam system. It is powered by a 500hp Cummins Diesel engine. Engine 9 continues to carry a hydraulic rescue tool made by Amkus. 2008 saw the shuffling of the district when the new computer gps dispatching system was introduced. As a result we no longer respond to boxes on the west side, and had lost the southern end of our still district to Engine 3. The company is staffed with a Captain, 3 Lieutenants, and 8 Firefighters on 4 shifts. Staffing at Station 9 does not comply with National Staffing Standards.